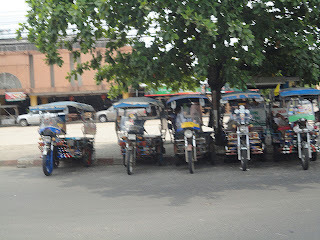 Besides buses, tuktuks or motorised rickshaws are the only means of public transport in big parts of Isan. If you do occasionally encounter a taxi, it will probably belong to a driver coming back from Bangkok and being tired from work they will most likely not stop if you wave at them. 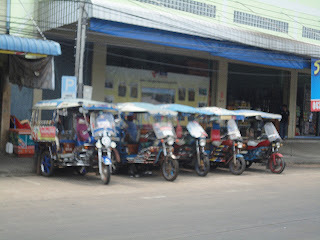 Today I came accross a human powered predecessor of the tuktuk, which is exceptional, since most Isan people will prefer the faster motorised version.